The New Year gives people a sense of refreshment and a clean slate. December is a crazed month that has people begging for a start-over button. With holidays, finals, and the cold, it seems to never end. You will only be successful in completing your New Year Resolutions if you take the time to plan and organize. Normally, I have an indifference to celebrating the new year. I’ve watched years pass, not paying attention to the particular time in which goals are achieved. I would see it more as every goal should have a different time frame and you should constantly be trying to improve yourself regardless of the year or the time restraints of that year. While moving forward with this concept, the idea of having a specific time to stop and refresh yourself is intriguing. Make sure there is a mix of easy things to achieve to more difficult goals. This way, you can get the simpler things done and still feel accomplished, while slowly working on the larger goals. If these aren’t constant, you may end up being disappointed if you don’t follow through. 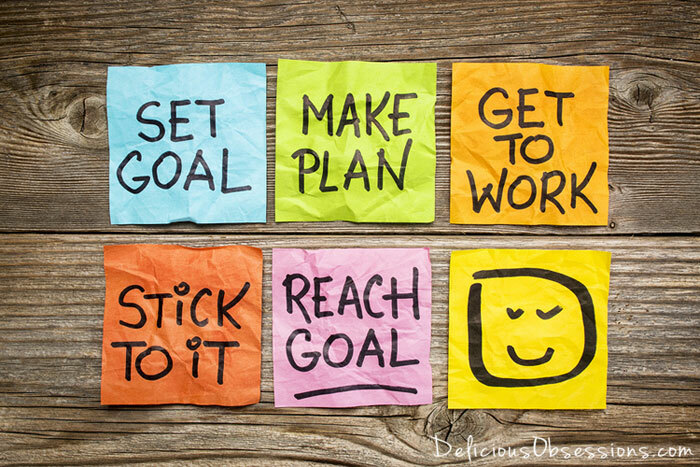 What are your goals for the year? What have you accomplished so far? Let us know in the comments! This entry was posted in Organizing, Tips and Articles, Uncategorized on January 6, 2018 by Kayla Glennon.